Simply select and tap anywhere on your drawing to place a markup. Markups include tools like issue stamps, photos and hyperlinks to documents so all the relevant information is right on your plans, at your fingertips. Being able to send photos to the drawing office team, plus document issues and assign and show the exact area to be repaired, has made the team more productive. Use markup tools like the cloud, arrow, or text box in different colors to call out details anywhere on your plans. Add a mention to share only what you wish. After calibrating from any dimension on your drawing, take linear, path, and area dimensions for immediate field estimation. Add shortcuts to specs, RFIs, other sheets, or anything else from the relevant location on your plans. Jump between docs and sheets with just a tap or click. 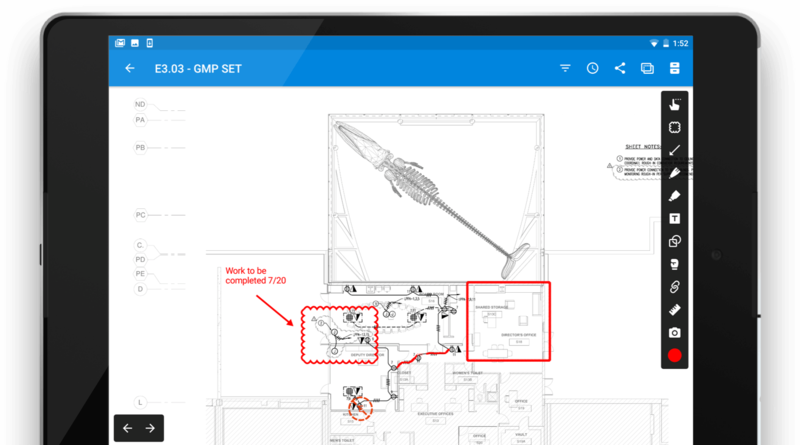 Synchronize your markups between Kahua and PlanGrid to drive office and field collaboration. 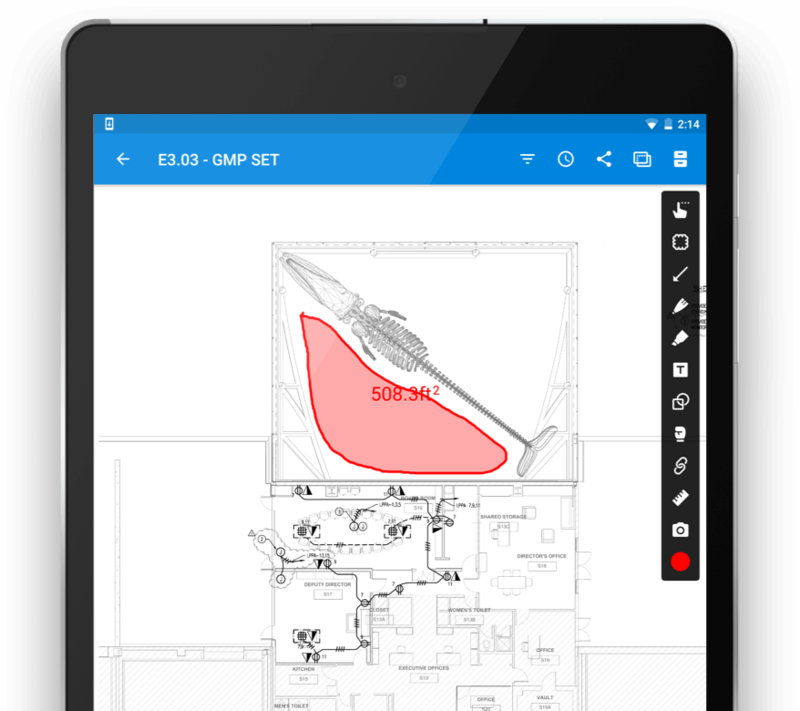 Synchronize your marked up drawings between RedTeam in the office and PlanGrid in the field. 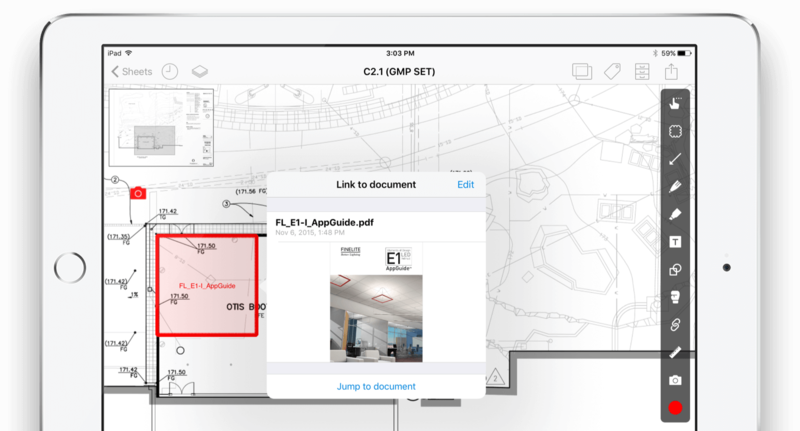 Save PlanGrid snapshots of drawings and markups to eSUB documents for a complete record of what happens on the job site.